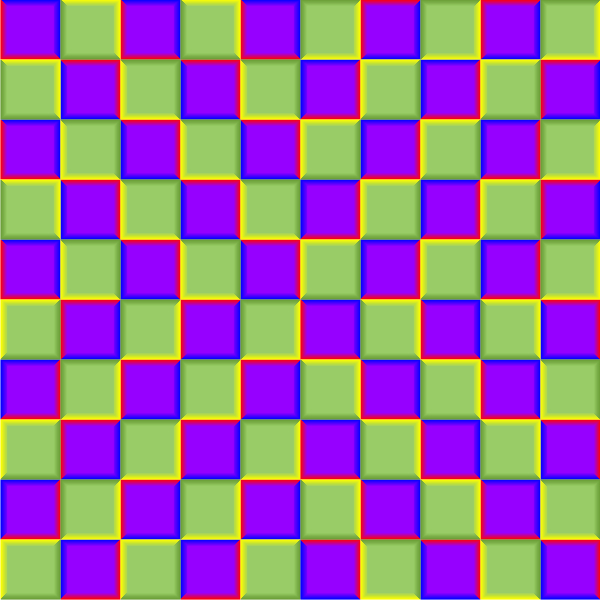 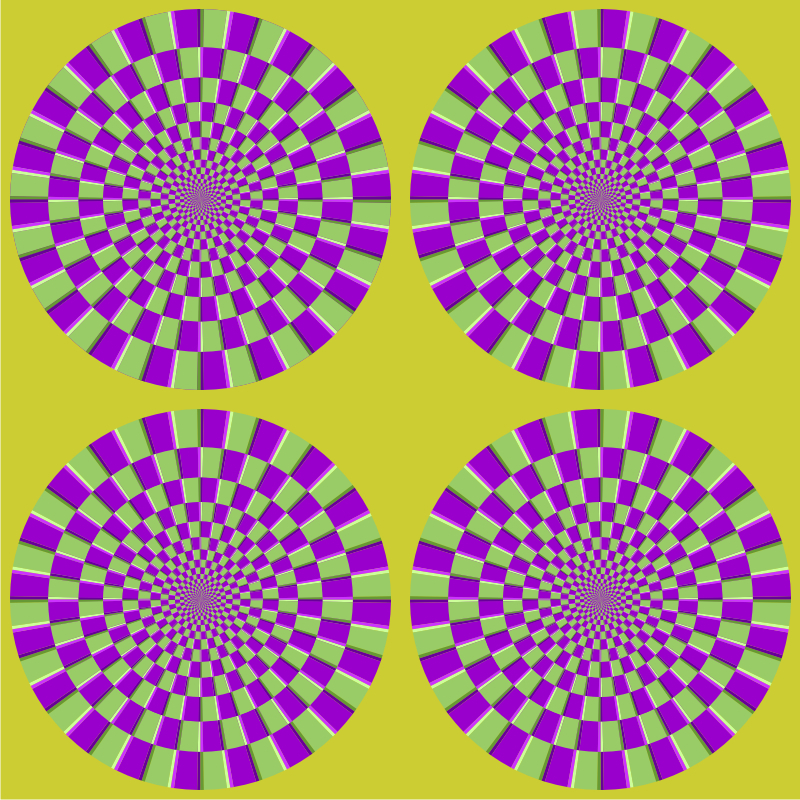 "A basic image of the optimized Fraser-Wilcox illusion Type I"
Kitaoka, A. 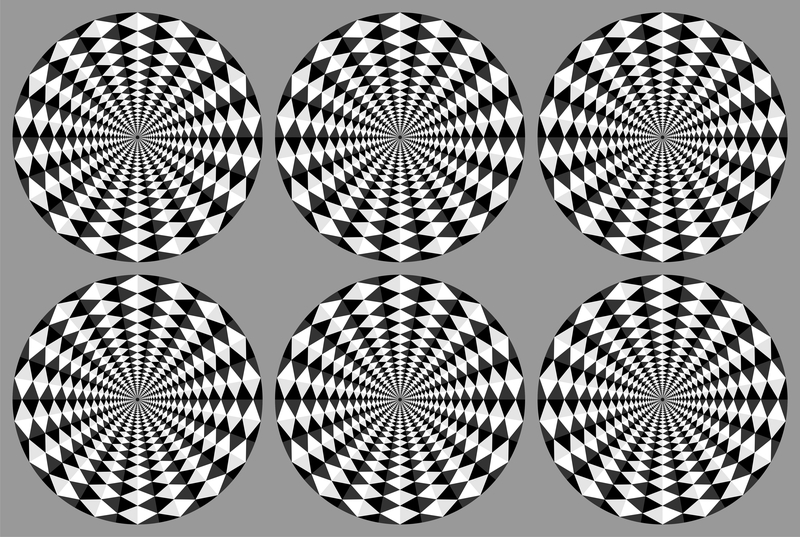 (2008) Optimized Fraser-Wilcox illusions: A pictorial classification by Akiyoshi Kitaoka. Talk in a workshop (WS005) in the 72nd Annual Convention of the Japanese Psychological Association, Hokkaido University, Sapporo, September 19, 2008. 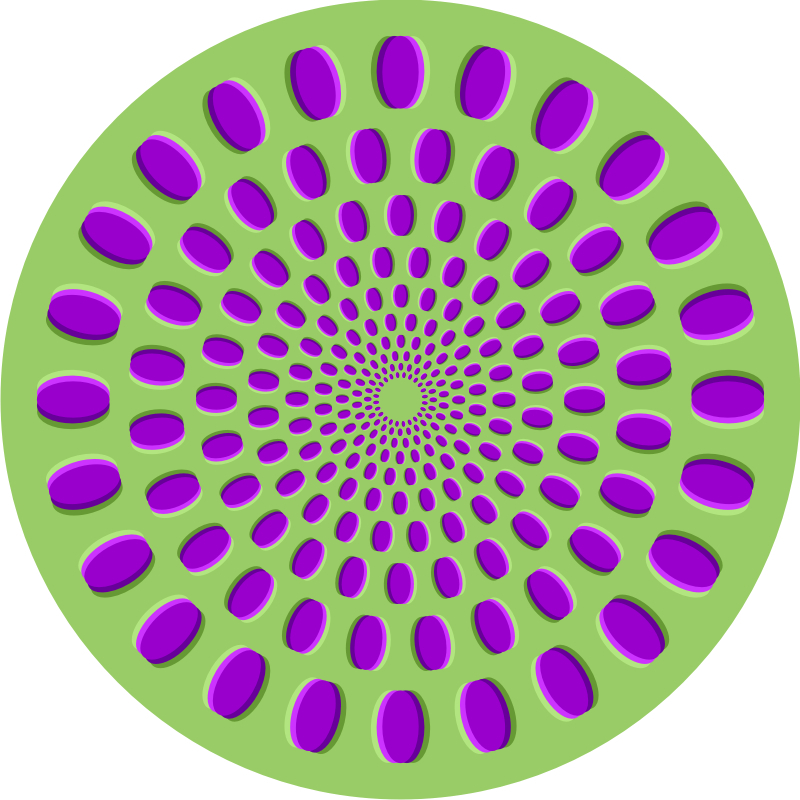 Presentation (webpage) new! 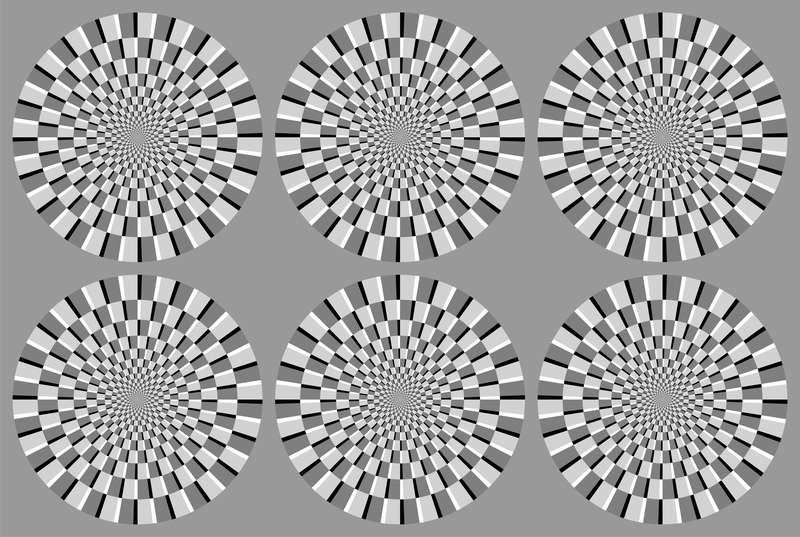 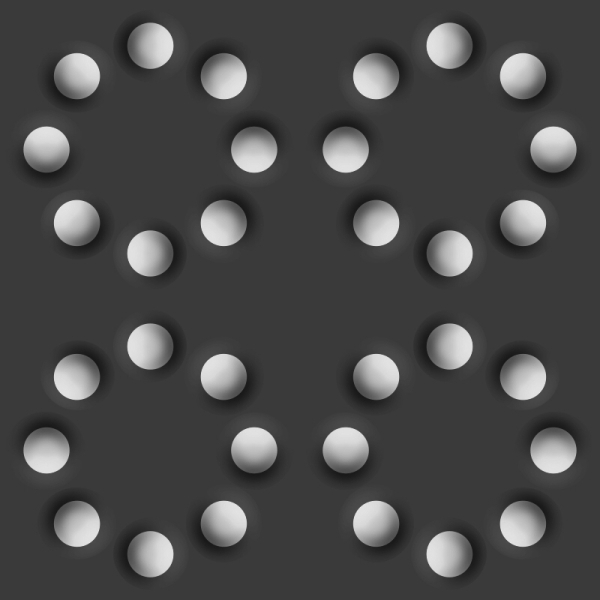 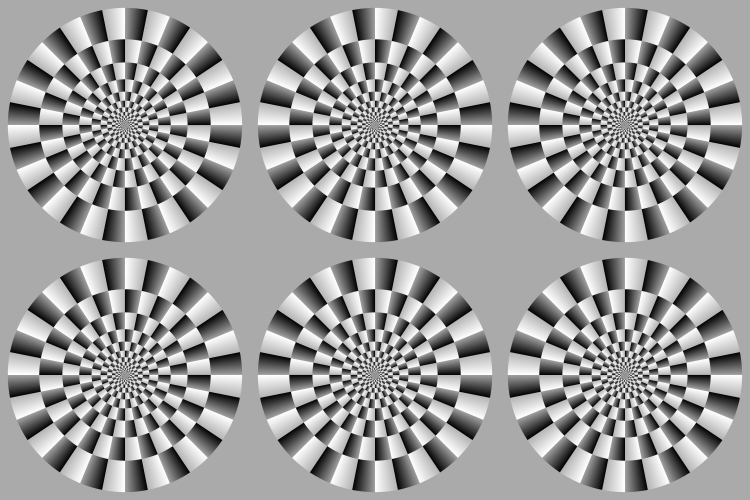 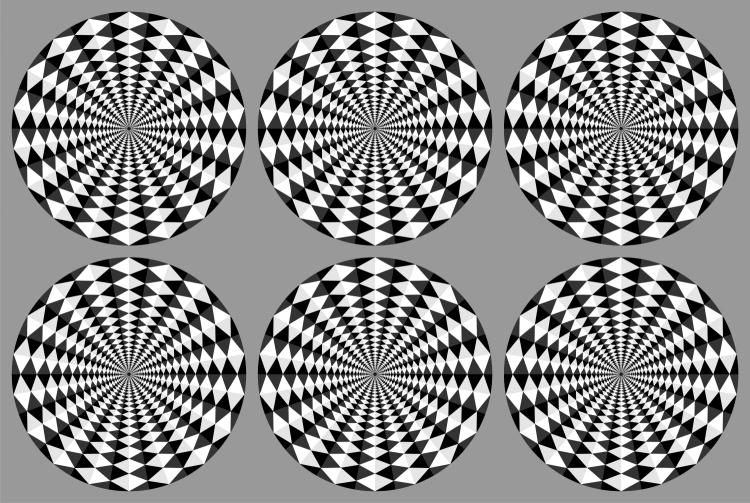 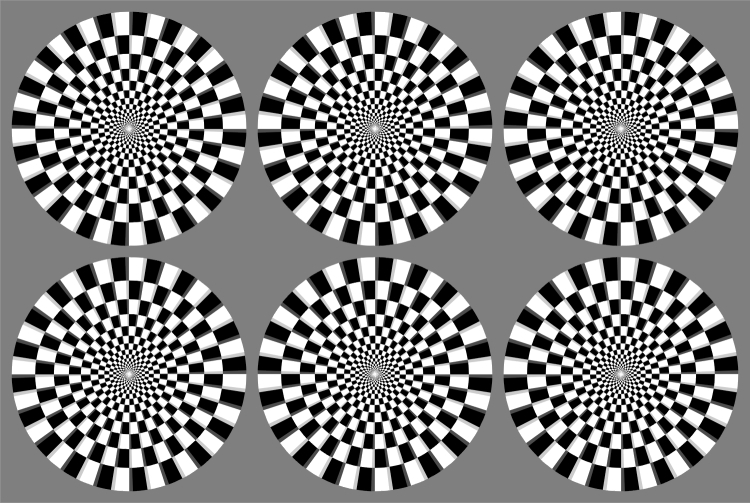 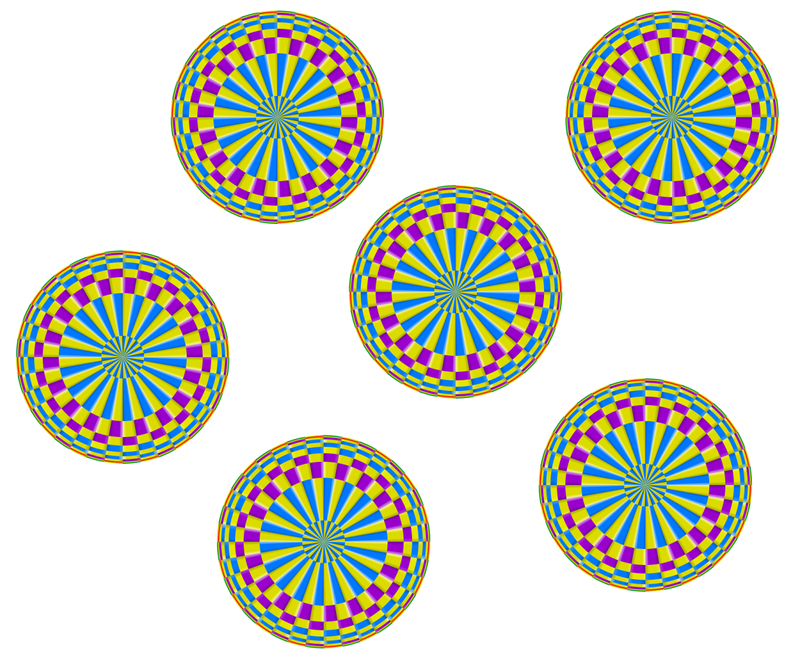 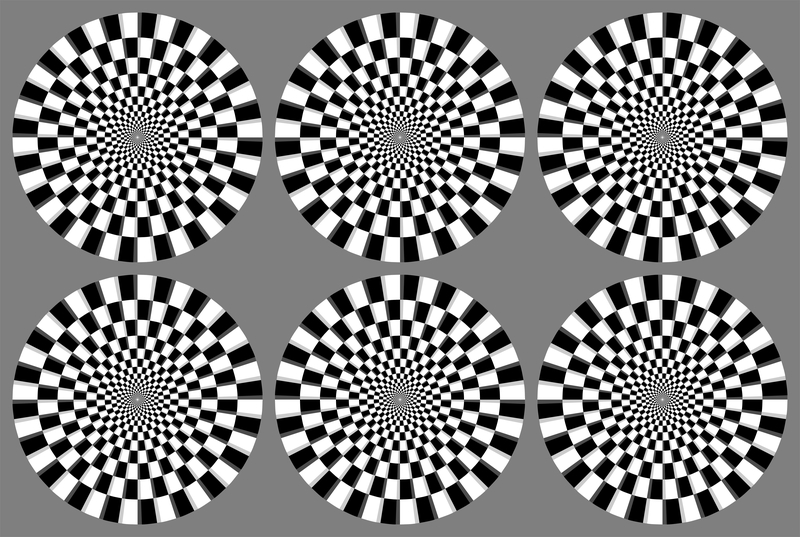 "A basic image of the optimized Fraser-Wilcox illusion Type IIa"
"A basic image of the optimized Fraser-Wilcox illusion Type IIb"
"A basic image of the optimized Fraser-Wilcox illusion Type III"
"A basic image of the optimized Fraser-Wilcox illusion Type IV"
Rings of tablets appear to rotate. 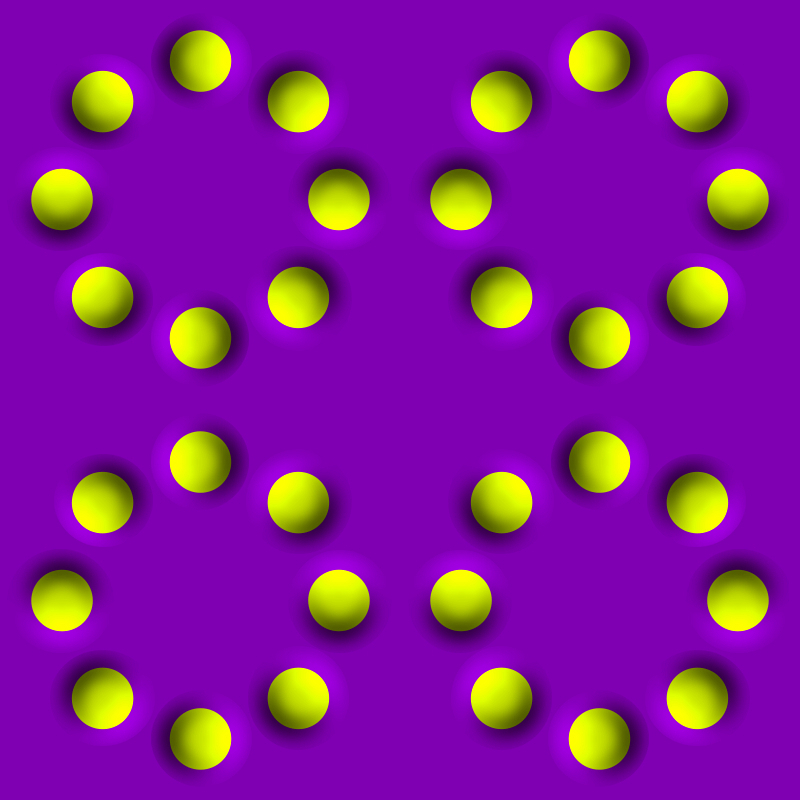 A balloon appears to rotate clockwise. 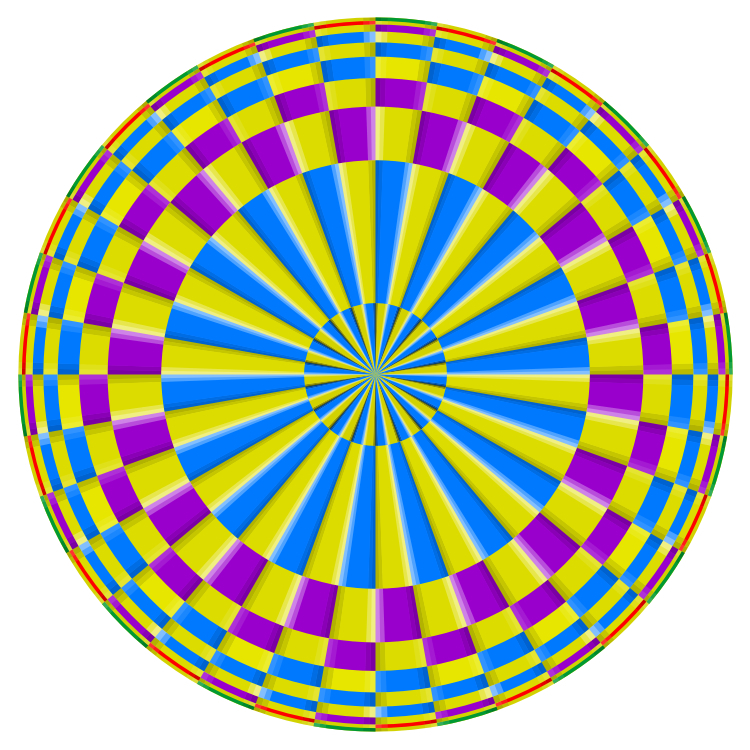 The inner part appears to rotate clockwise. 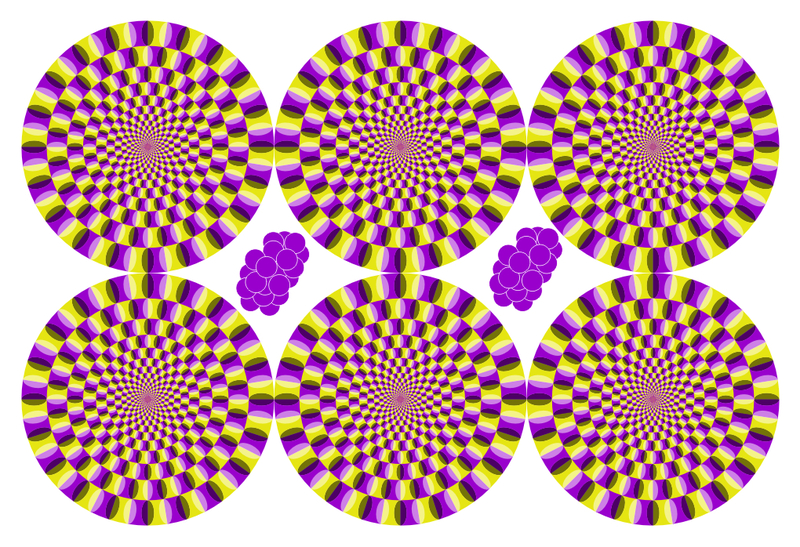 Inner adzuki-beans appears to rotate counterclockwise.